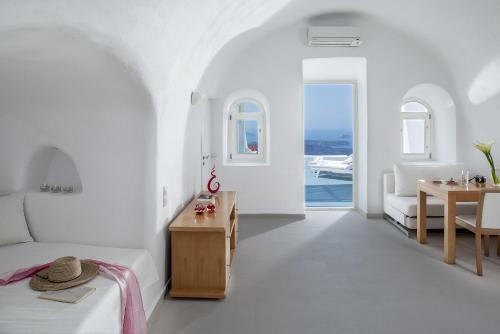 Enjoying panoramic views of Caldera and the Aegean Sea, Aliko Luxury Suites is located in the scenic Imerovigli village. 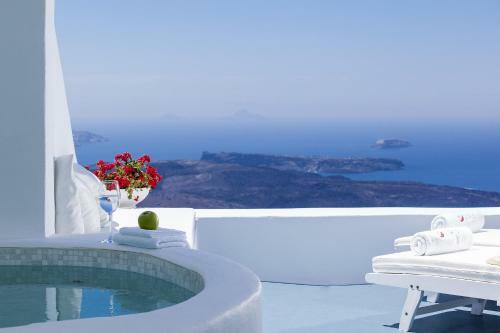 With respect to the local architecture, the minimalist suites open to a furnished balcony with a heated hot tub. All spacious suites feature relaxing interiors with luxurious bed linens, Molton Brown bath amenities and pillow menu. 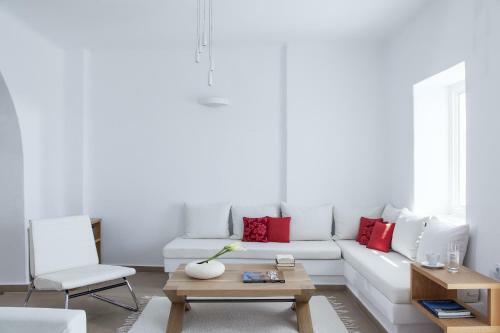 Each includes a flat-screen TV with cable channels, DVD player and i-pad or laptop with free Wi-Fi. A fridge and coffee maker are provided, while some units also come with a spa bath. 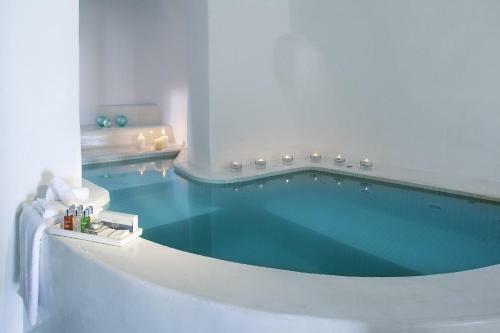 Staff at Aliko Luxury Suites can arrange massage treatments or babysitting on request. Bars, taverns and shops can be found at the lively Fira Town, at 2 km. Monolithos Beach lies at 8 km, while Athinios Port and Santorini International Airport are 10 km away.